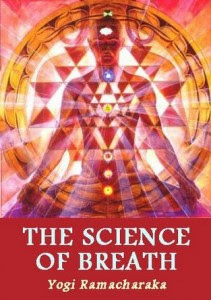 The Science of Breath by Yogi Ramacharaka. For thousands of years, yogis have believed that breath is the essential link between body and mind, energizing a subtle body which connects the physical and mental aspects of our being. In this book, Swami Rama and two noted American physicians explore the science of breath as the missing key to both physical health and the attainment of higher states of consciousness. Basic yogic breathing techniques are explained so that one can immediately begin working with the ancient science of breath.